Sit back with a good book in the Gigi Lounge chair. 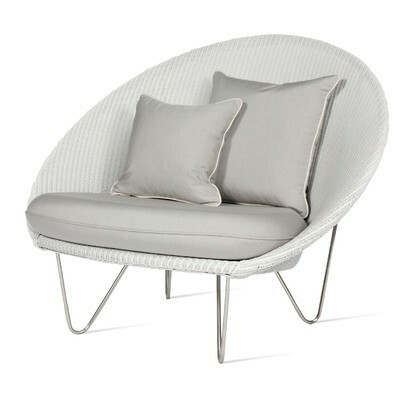 With a high arching back and deep , generous seat, this lounge chair offers optimum comfort. The stainless steel frame is upholstered in outdoor Lloyd Loom weave, available in a wide choice of colours to pick from, along with a seating cushion to complete your preferred look.